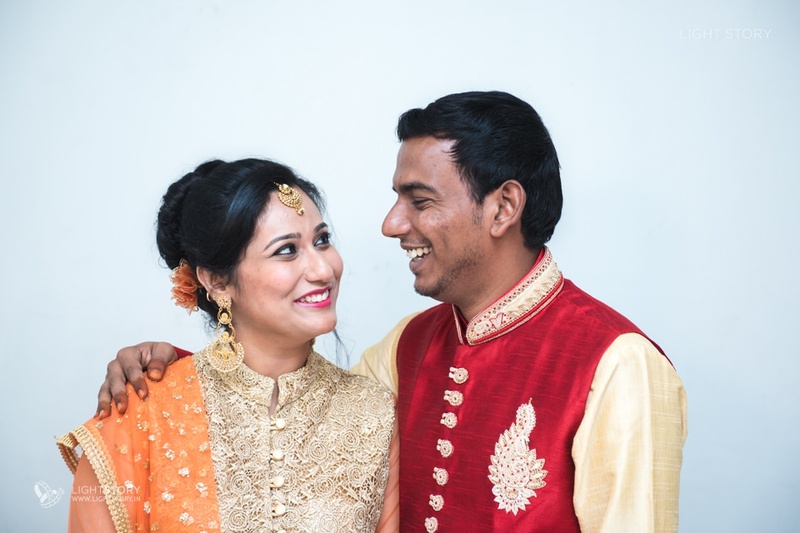 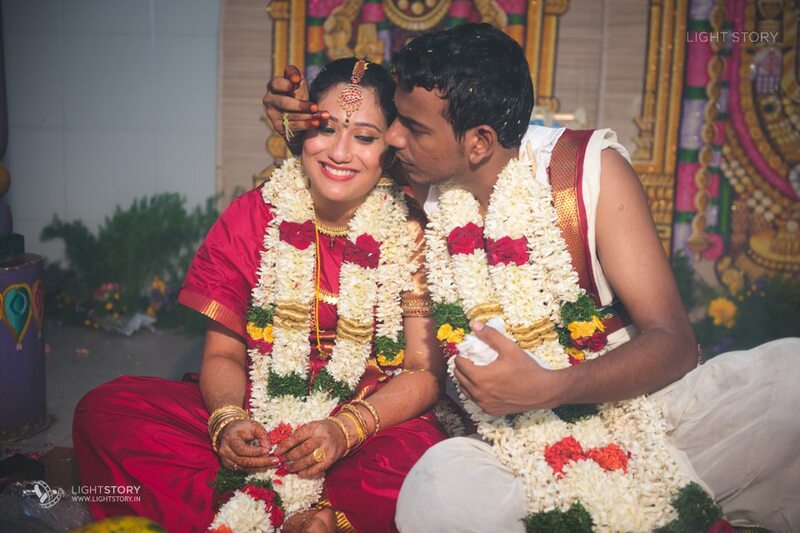 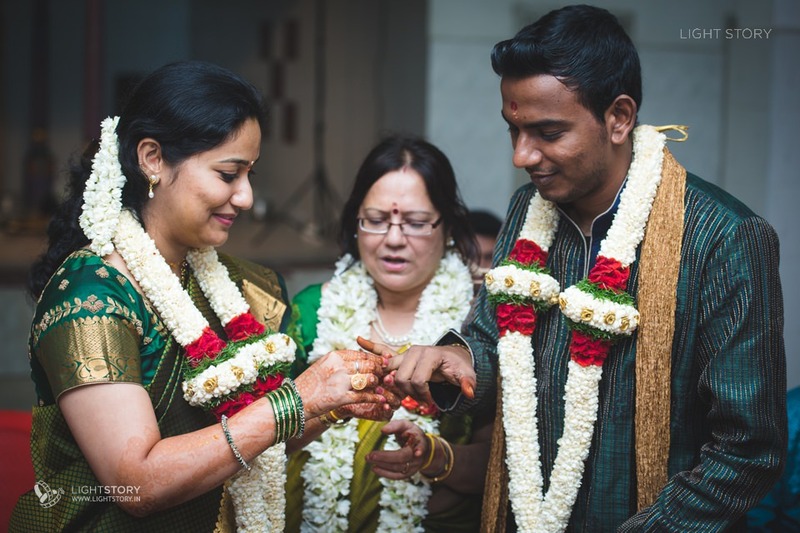 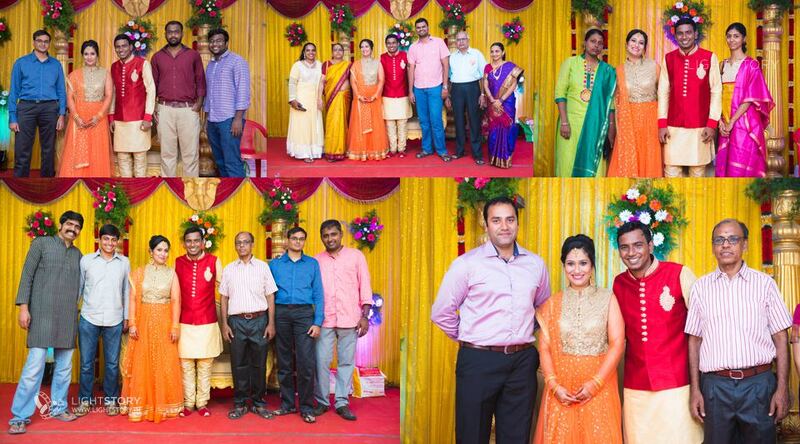 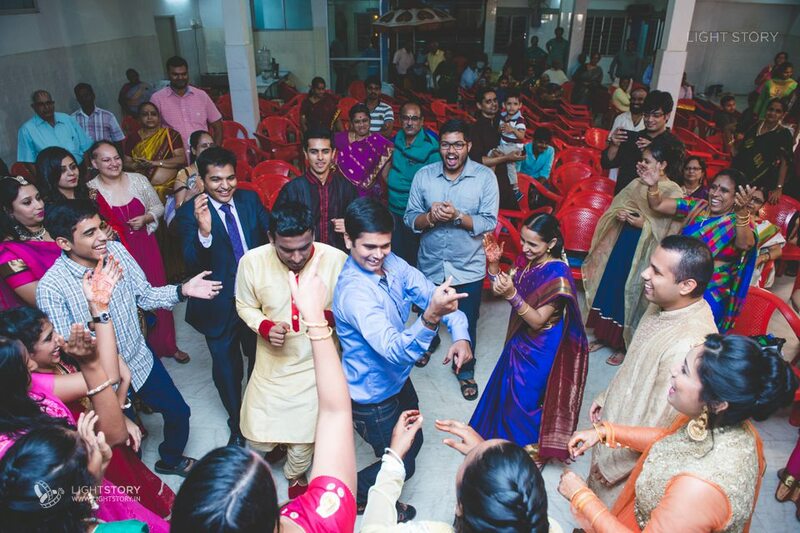 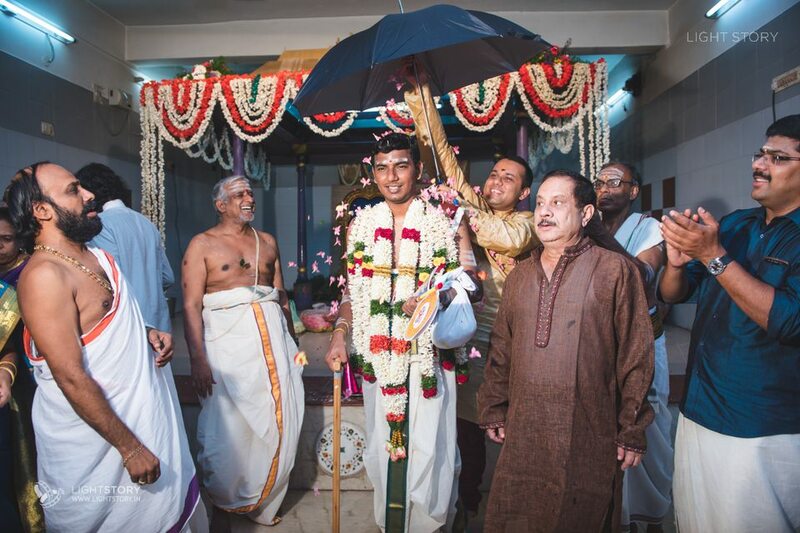 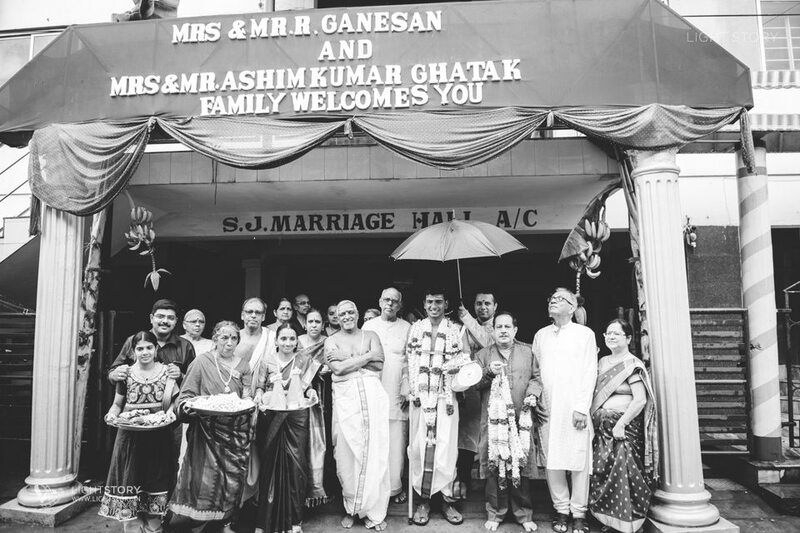 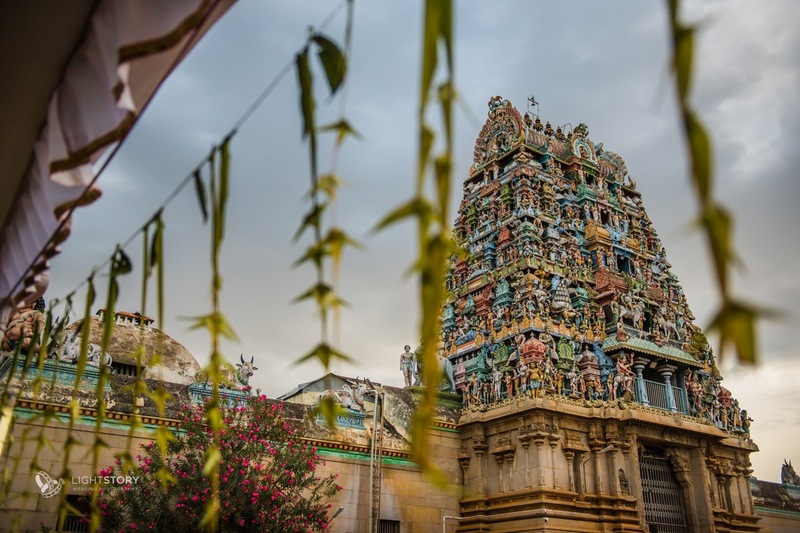 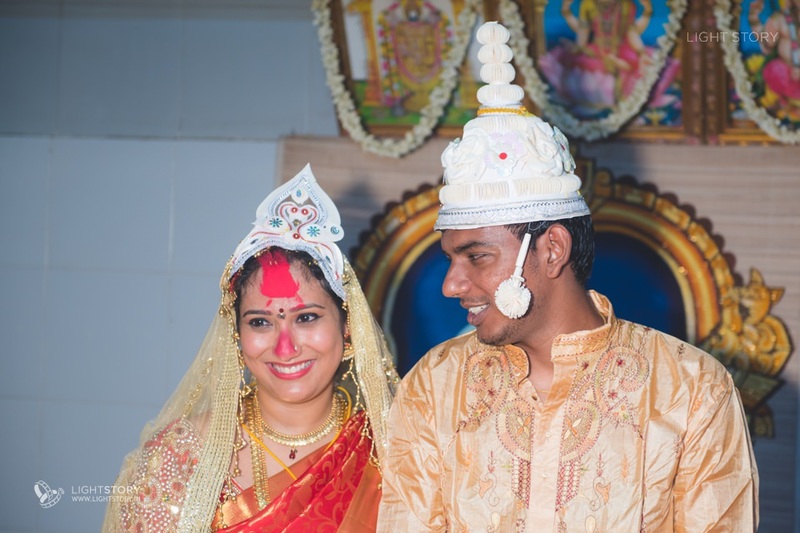 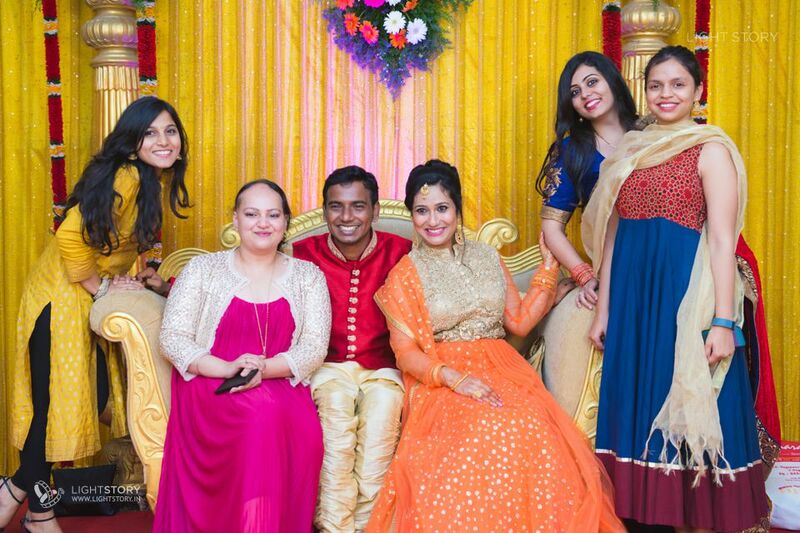 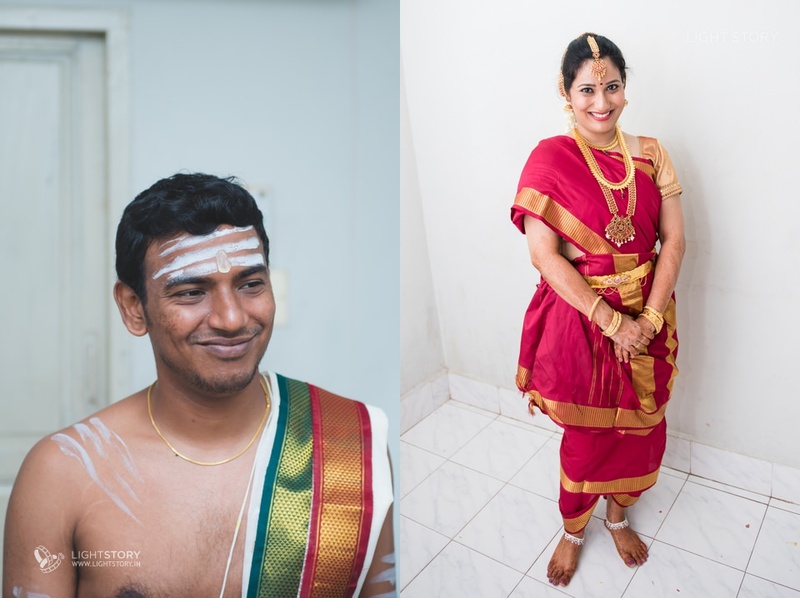 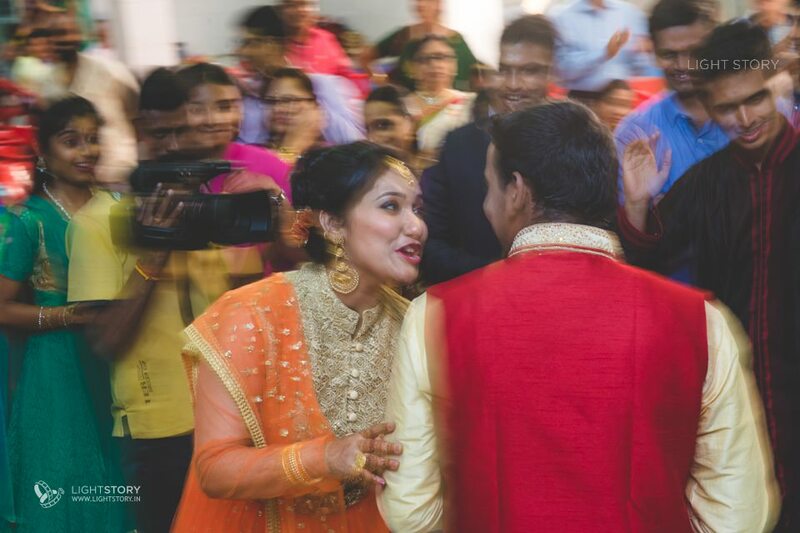 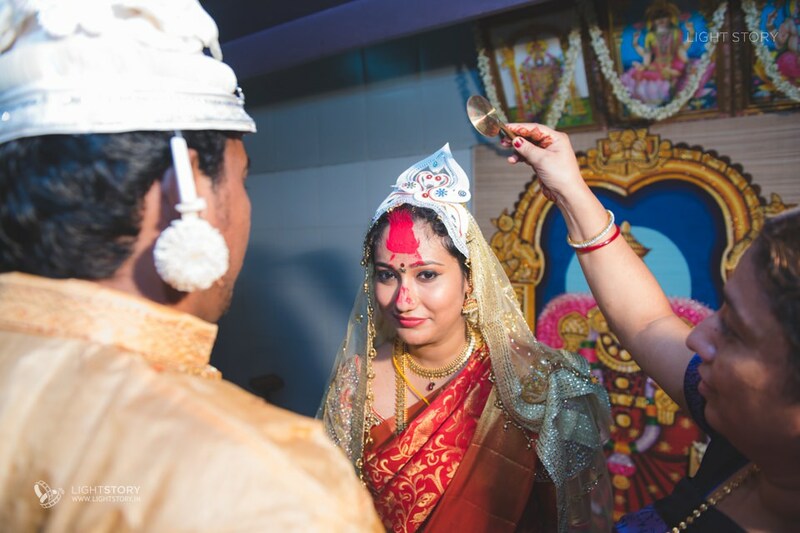 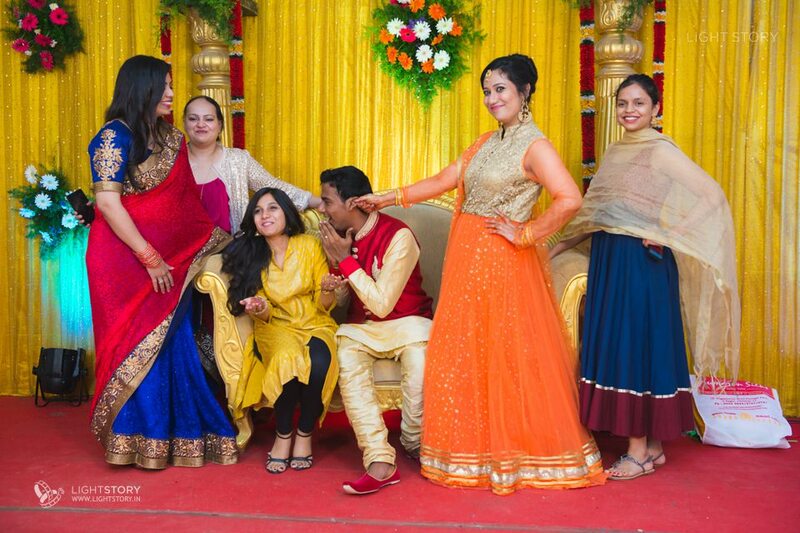 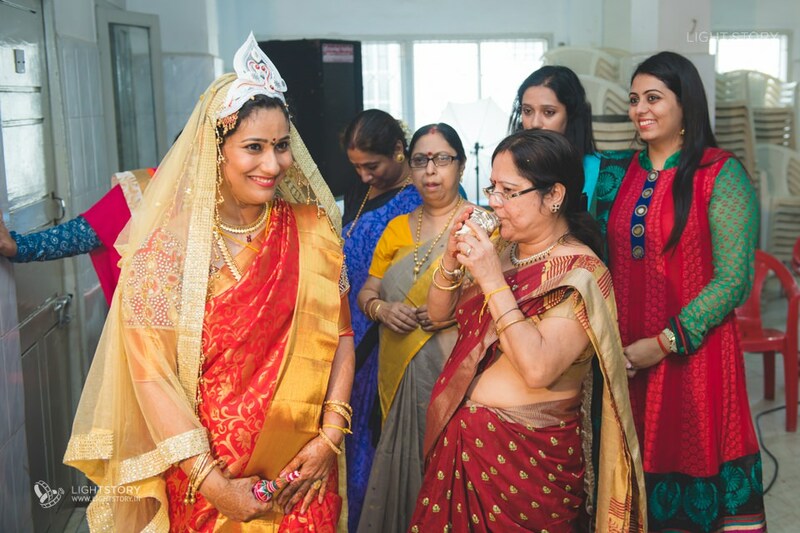 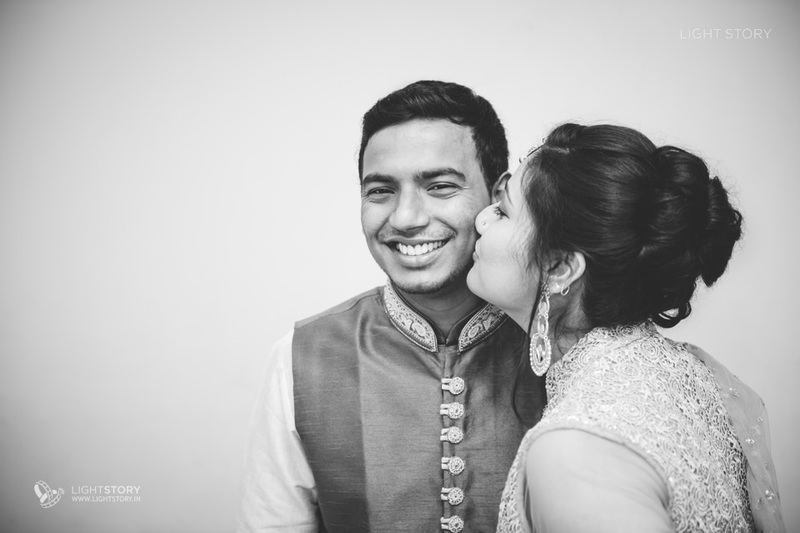 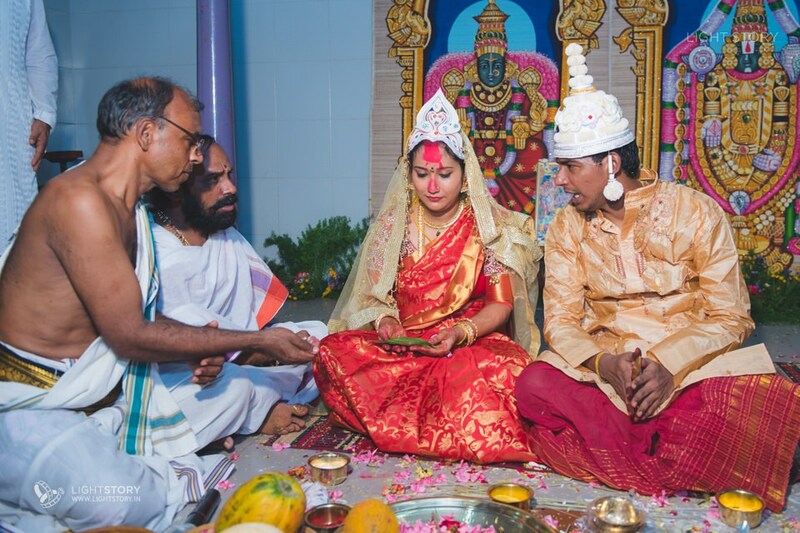 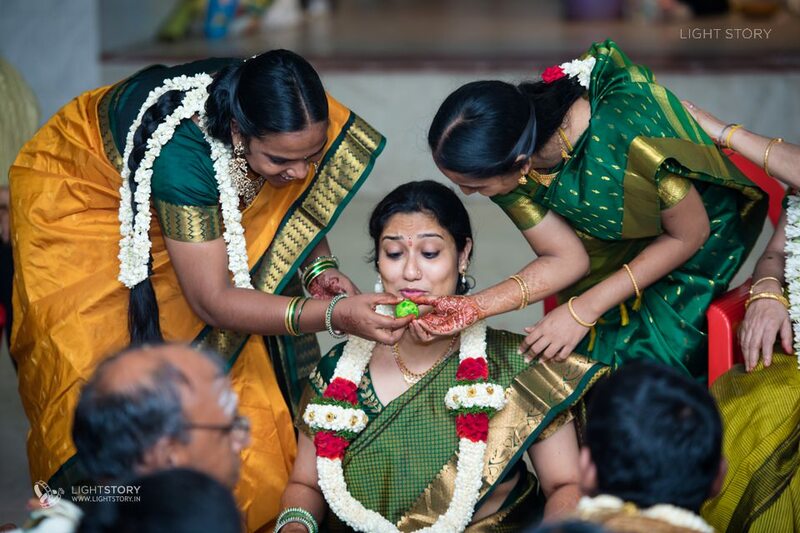 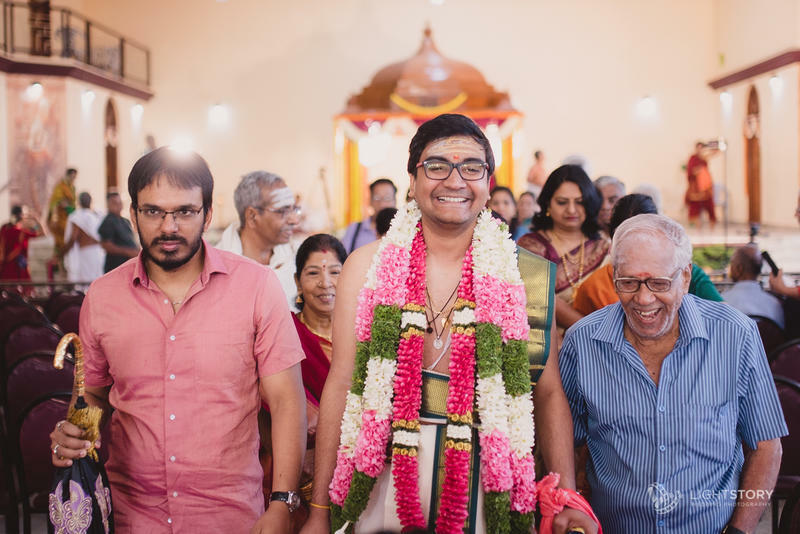 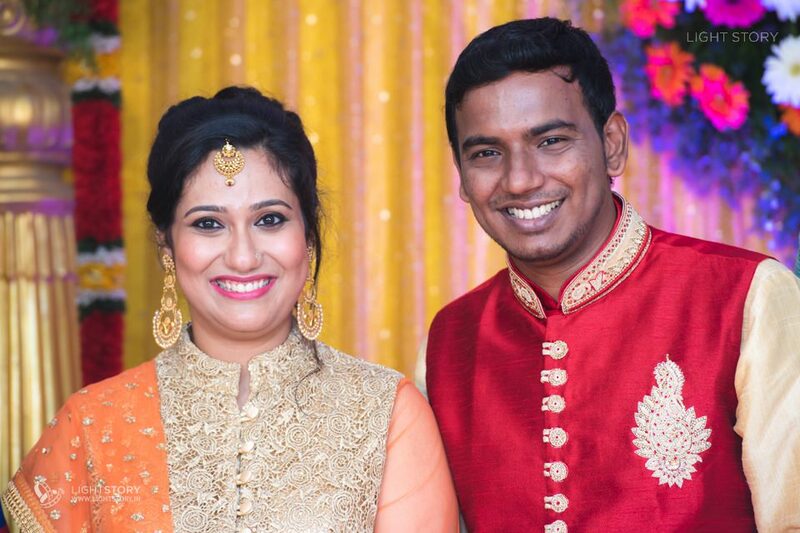 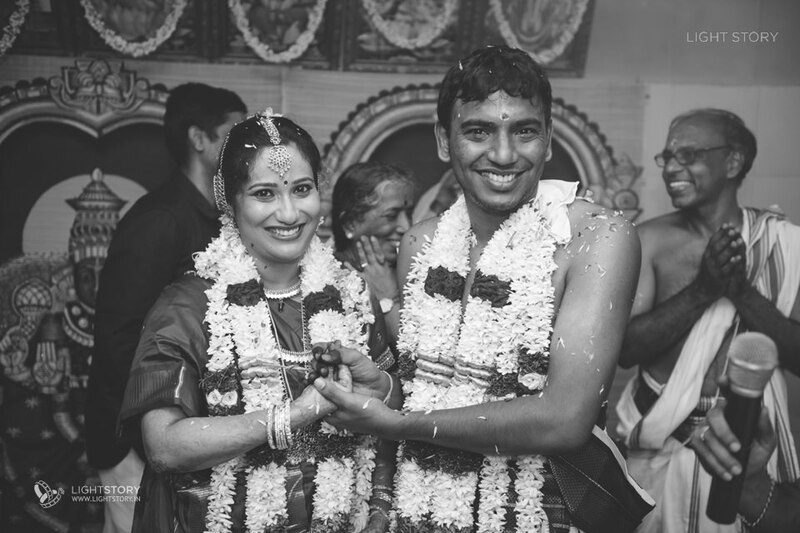 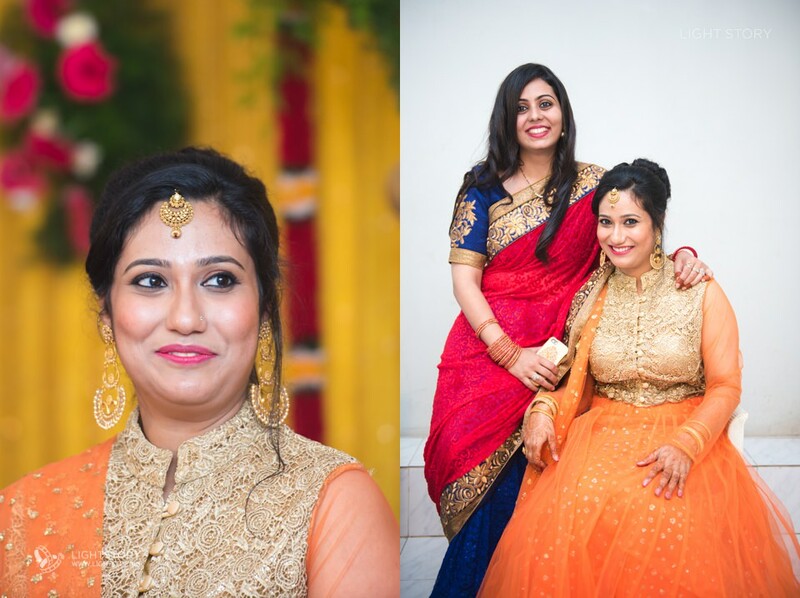 Krishnan and Anindita got married in a fun filled, multi cultural ceremony at Chennai - the bride is a Bengali and the groom a Tamilian, and like Anindita mentioned in a conversation, it is indeed a case of Two States come alive! 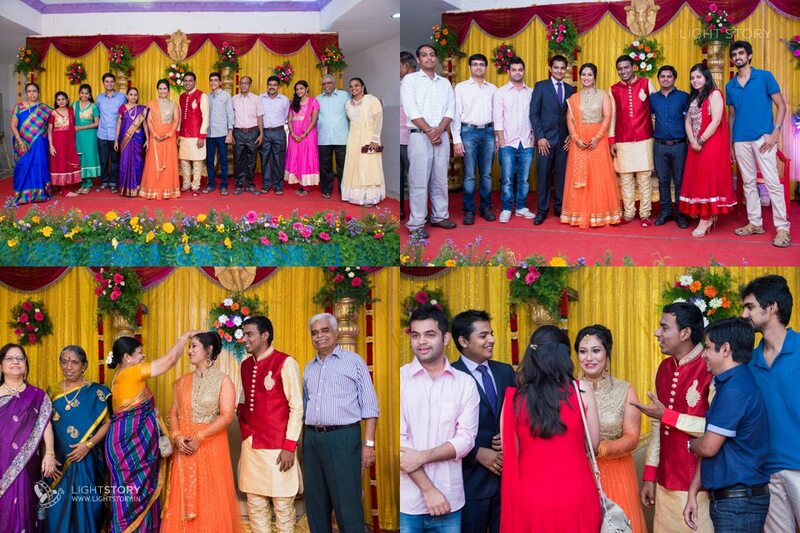 It was a very special event, where two families belonging to different communities, speaking a different tongue came together to celebrate their children's love and union. 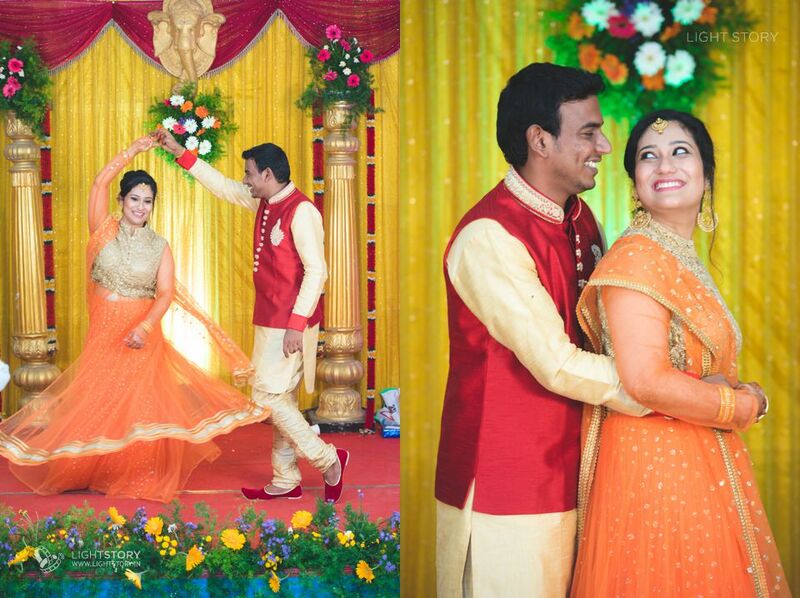 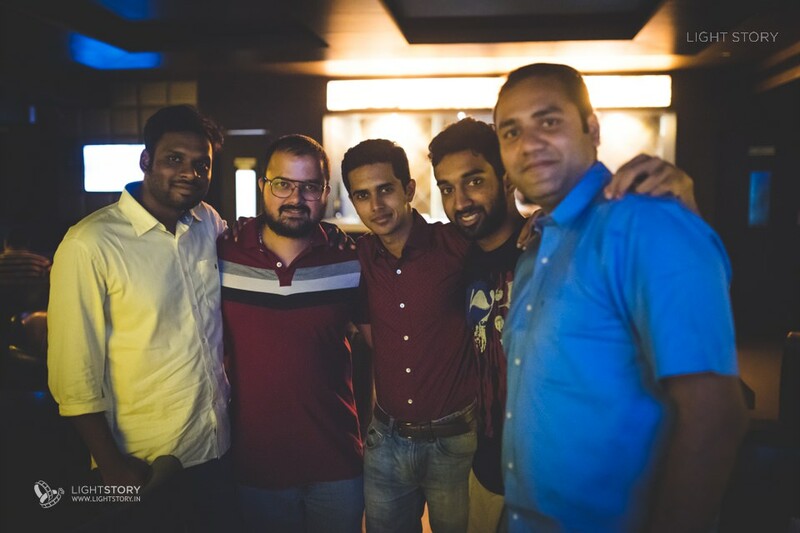 Take a look at the pictures! 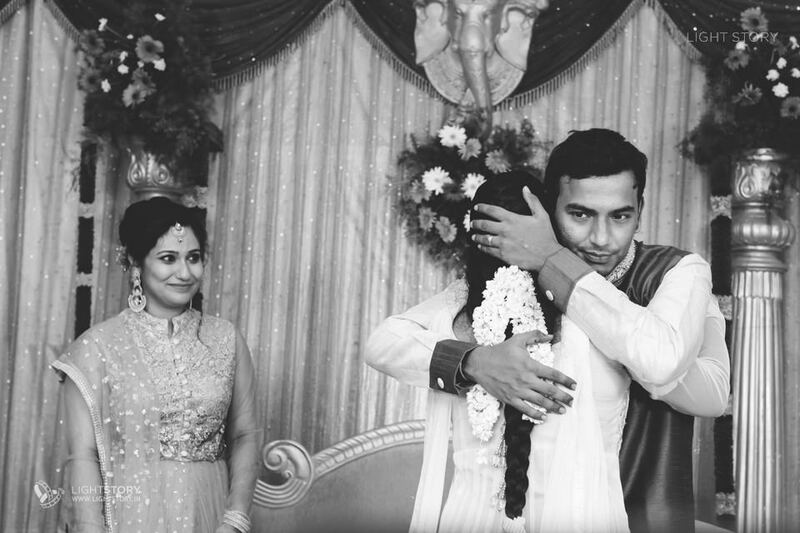 Anindita and Krishnan met through a common friend(their cupid), and the trio began to hang out a lot, but soon enough, the couple were meeting minus the cupid ;) It is amazing how much they have picked from each other - Anindita has picked up Tamil, developed a taste for rasam saadham, loved OK Kanmani, and hums to the tunes of Nenjukulle. 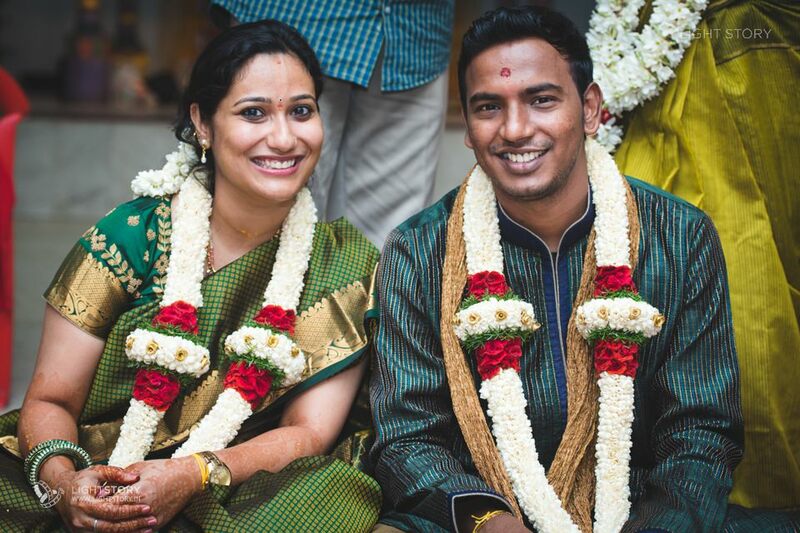 Krishnan speaks Hindi with a lot of flair now, he accompanies her for Hindi movies and ok, don't judge him - listens to Yo Yo Honey Singh. 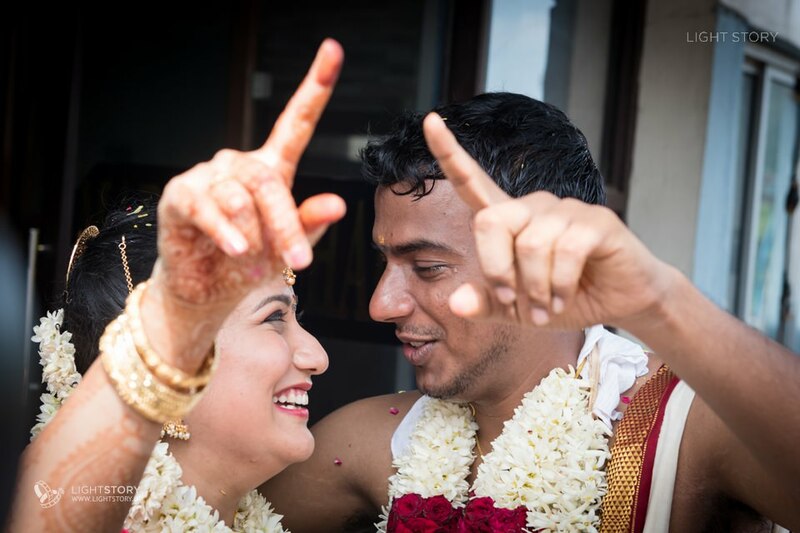 Theirs is a wonderful love story that has been a journey, with ups and downs and learning from each other. 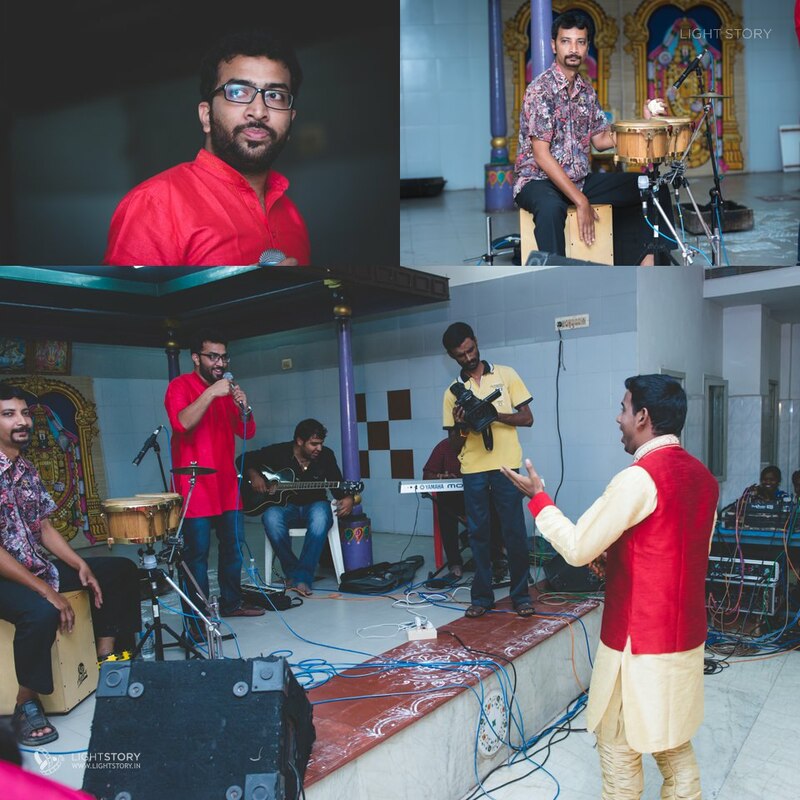 Madley Blues and Bread Butter Jam livened up the event with their terrific music (Vocals -- Gowtham Bharatwaj, Keys -- Prashanth Techno, Guitars and Vocals -- Harish Harz, Percussionist-- Soundar and Sound engineer --Navneeth).The bride and groom looked radiant and very happy to have their wedding celebrated by loved ones and friends. 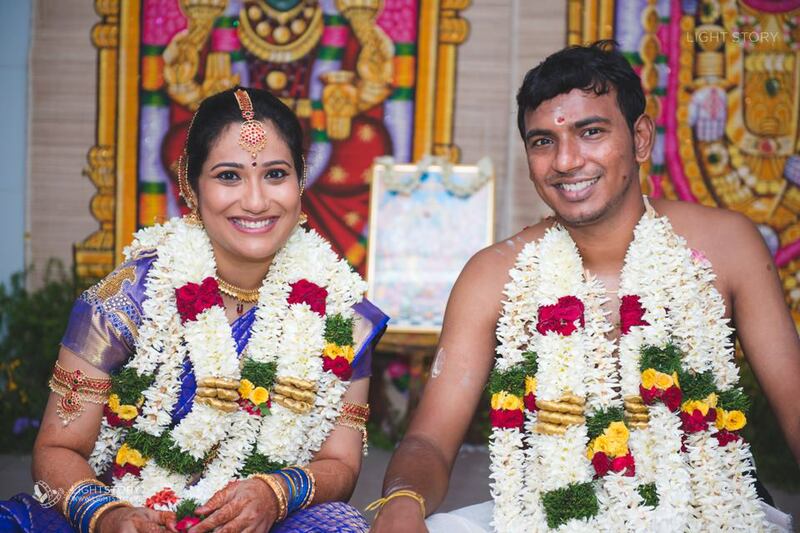 Light Story wishes the couple a very happy life together!